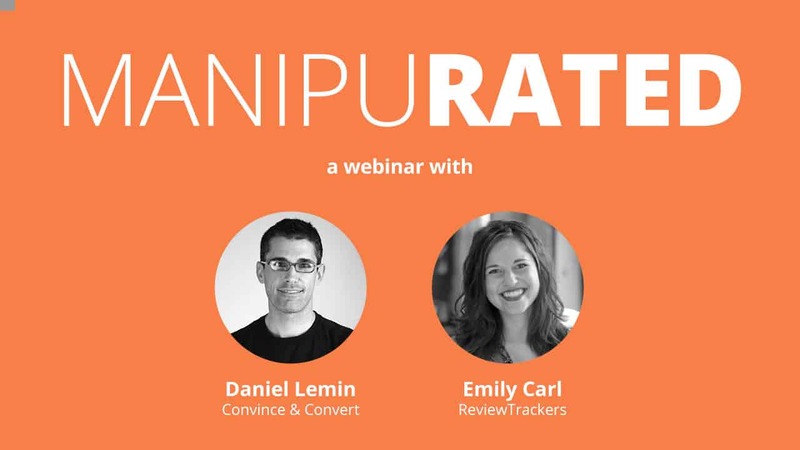 Register for this webinar to hear insights from Lemin about online reviews and their impact on a business’ reputation. Lemin’s expertise consists of digital marketing, public relations and reputation management. He contributes to Convince & Convert’s blog regularly. In addition, he is a consultant for Fortune 500 companies including Hilton Hotels, Best Buy and Procter & Gamble. The book, which is available now, “is a manifesto for business owners struggling against the online ratings and reviews industry that is holding their businesses hostage through manipulative practices,” according to the book’s website. For the business owner who is struggling, there is a way to manage your reviews and use them to your advantage. Businesses are serious about managing their online reviews. In the hospitality industry, for example, 93 percent of hotel owners agree that online reviews are important for the future of their business, according to the 2016 TripAdvisor TripBarometer Survey. The main investment priority for hotel owners in 2016 is online reputation management, according to the survey. In the healthcare industry, more than 80 percent of doctors now monitor their ratings and reviews, while one in three doctors respond to their patient’s reviews, according to a study by online doctor rating and review company Vitals. What’s more, restaurant reputation management is more important than ever, and restaurants who manage their online reputation will stand out among the competition. To listen to more about reputation management tips after the webinar, check out this podcast with ReviewTrackers’ Brian Sparker, as Daniel and Brian talk about managing your holiday season reviews.